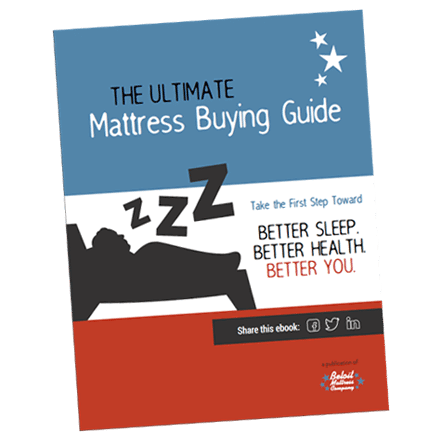 If you’re looking for the best memory foam mattress topper to help you sleep during your college years, we’ve got it! Whether you’re in a frat house that supplied a used mattress for you or you’re sleeping in an apartment on the cheapest mattress you could afford, you’ll benefit from the best mattress topper for college kids. It comes in all sizes so you’ll get great sleep wherever you are! We remember what it was like to be exhausted from classes while working to afford school and still make time for a social life. Every day is different and sleep can be sporadic, and all you want to do is have a comfortable bed to fall into at night– or at least nap in during the day. Most students can’t afford a plush new, cozy mattress but can’t sleep on the cheap or worn out mattress in their apartment or frat house. The best way to get comfy enough to sleep in college is is to buy an affordable memory foam mattress topper in full, queen, or whatever size your current bed is. DormTopper was built with college kids in mind because quality education depends on sleep. You can attend every class and do every assignment, but unless your brain is fresh enough to really take in everything you’re learning, you won’t get the GPA you need to succeed. Almost ? of college students have admitted to getting a bad grade because they didn’t sleep well, and that’s because the brain needs to reach deep sleep in order to store information in your memory that you can recall later. We’ve made the best mattress topper for college students because it keeps you cool, dry and comfortable. Bamboo quilted cover has a silky surface and is antibacterial and moisture absorbent. Layer of Pure New Zealand Joma wool is breathable, wicks away moisture, and is hypo-allergenic, mold, and odor-resistant. Layer of gel-infused cooling foam is cushiony and supportive even on rock-hard mattresses. It’s also CertiPUR-US certified so it doesn’t contain formaldehyde or other toxic chemicals. Stop drinking caffeine after 3 PM. Turn off electronics 30 minutes before you need to fall asleep since blue light blocks melatonin from telling your brain it’s time to sleep. Get into the daylight for a little while each day to helps regulate your body’s sleep/wake cycle. Give Your Brain a Boost and Buy Our Memory Foam Mattress Topper! If you’re sleeping on your saggy childhood mattress, a worn out sorority house bed, or a cheap mattress you bought on Craigslist, you’re never going to get the sleep you need to do well in college! For a small price, you can transform your bed into a comfy oasis where you can rest your brain after a long day of classes. Visit our site to find our mattress topper sizes available and order yours today to have it shipped straight to your door!